Lilac It? I Love It! 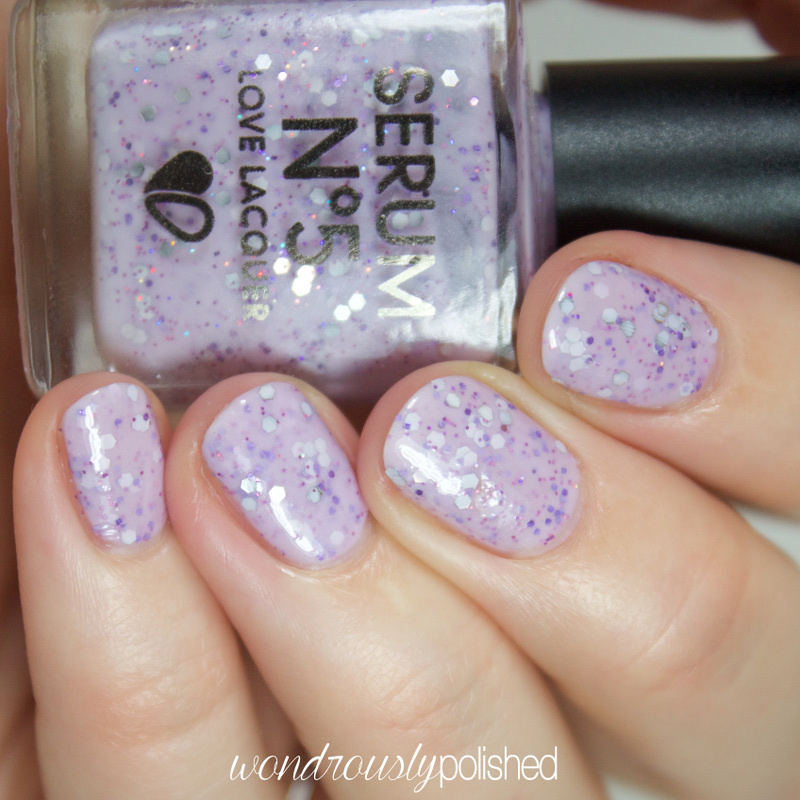 is a pale lavender/lilac shade packed with silver and purple glitters. I'm obsessed with this one. The color combination of this is so soft and delicate and I honestly had a hard time taking this one off because it was so lovely. 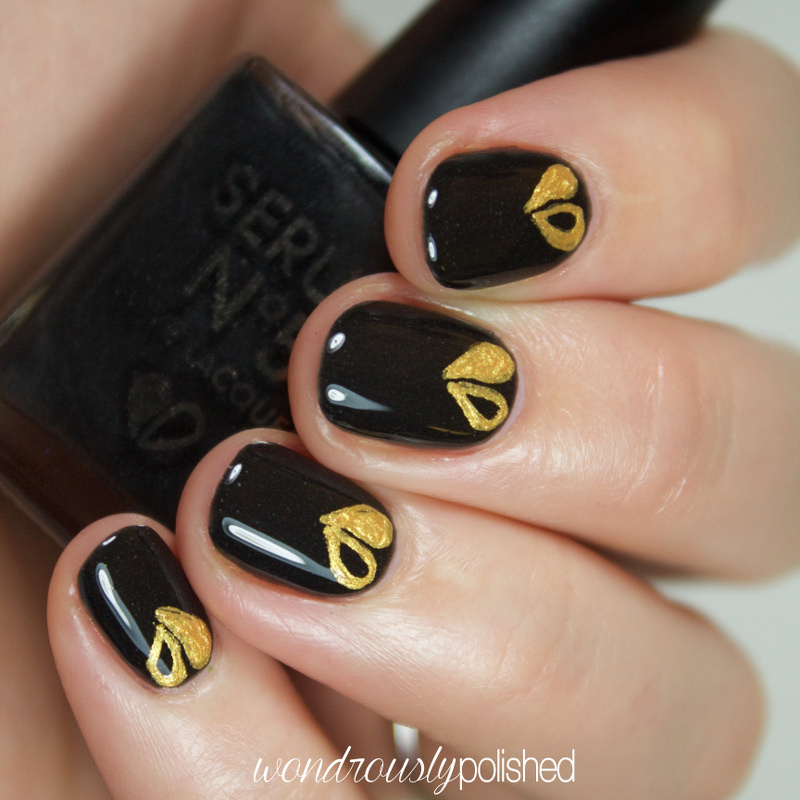 The formula was a breeze as well, though it is sheer until you hit your 3rd coat. 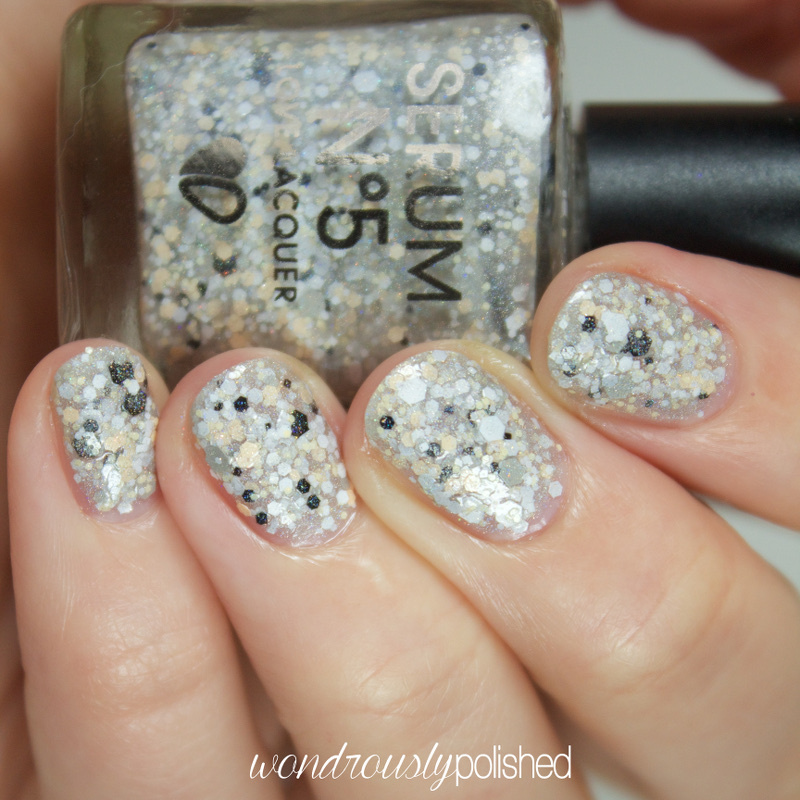 Shown is 3 easy coats with a coat of Serum's fast dry top coat. 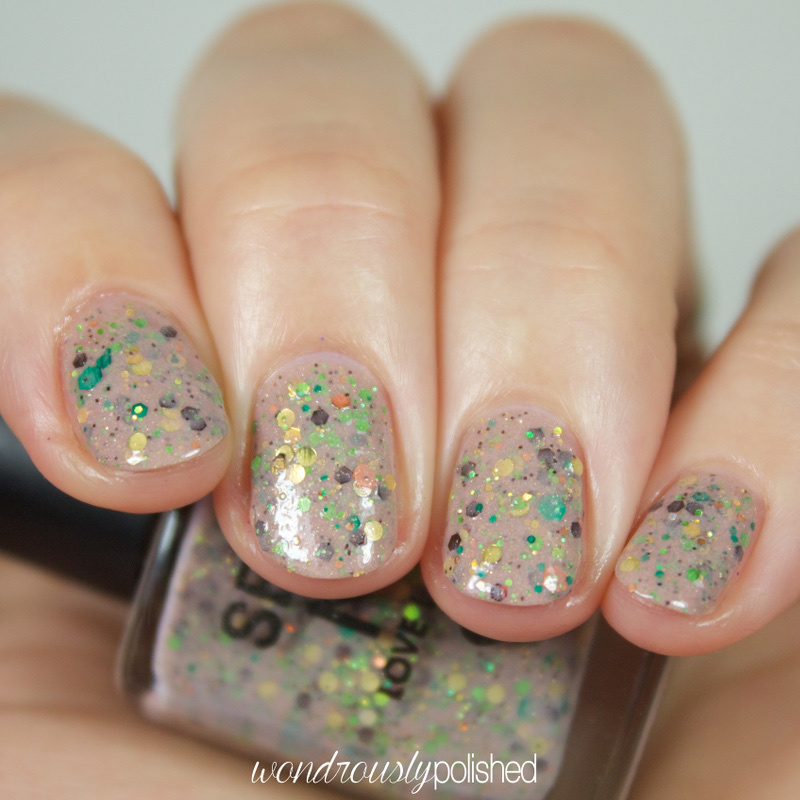 Don't Peek is a greyish purple crelly packed with gold, coral, purple and green glitters. 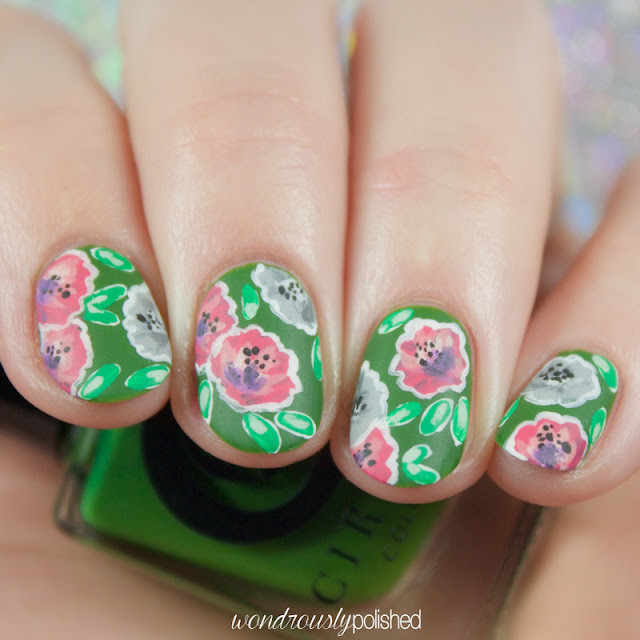 This is such an interesting color palette! I definitley do not have anything like it in my collection and I think I love it! Some might think this one might be on the pretty-ugly spectrum, and I love that! 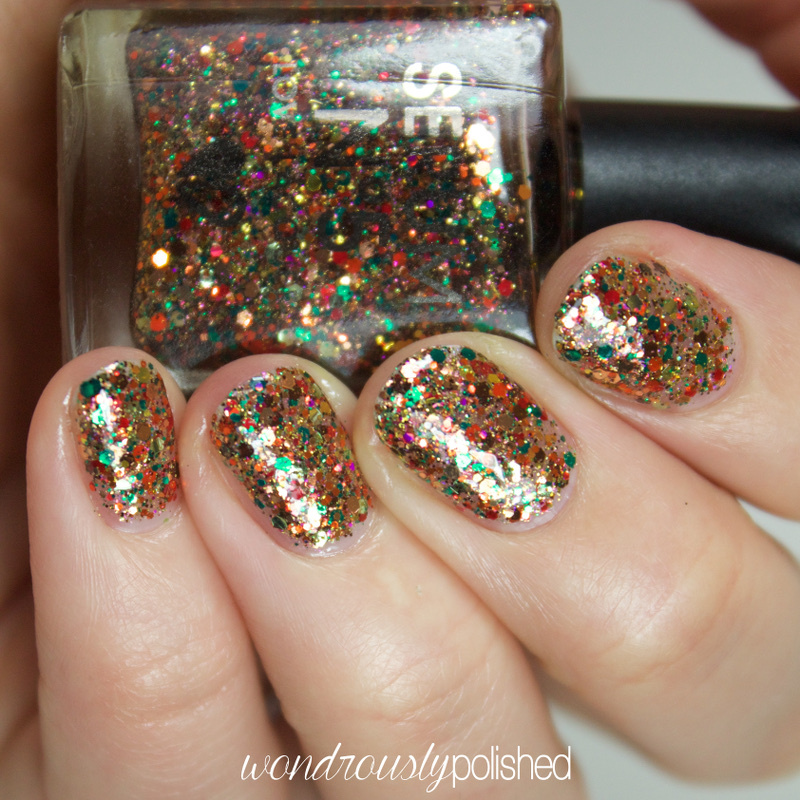 The formula on this was quite nice and shown is 3 coats. As is typical with most Serum No. 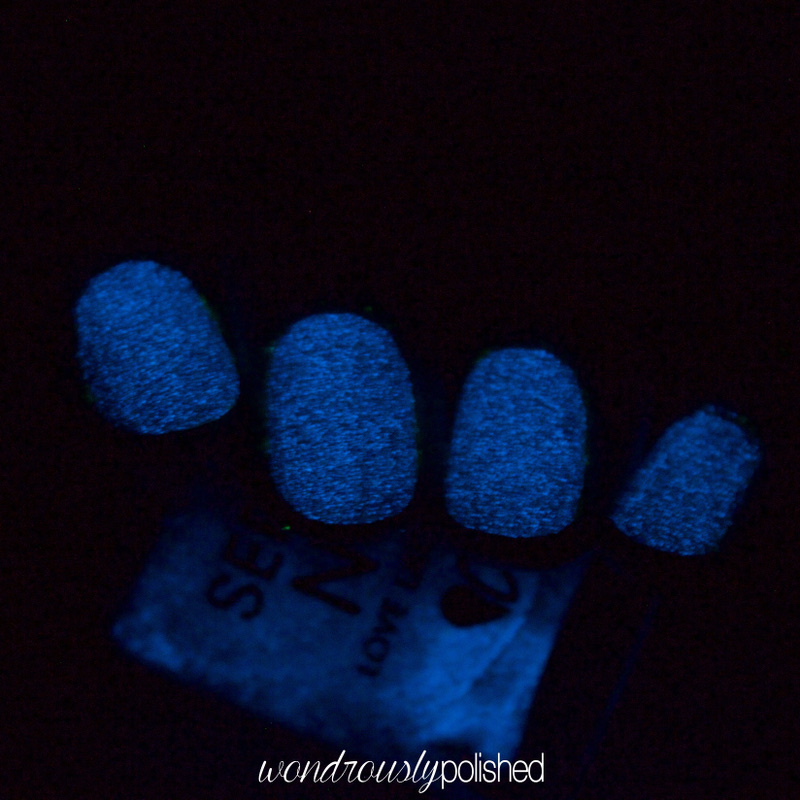 5 polishes, this one glows in the dark (GITD)! Here is Don't Peek glowing in some green goodness! 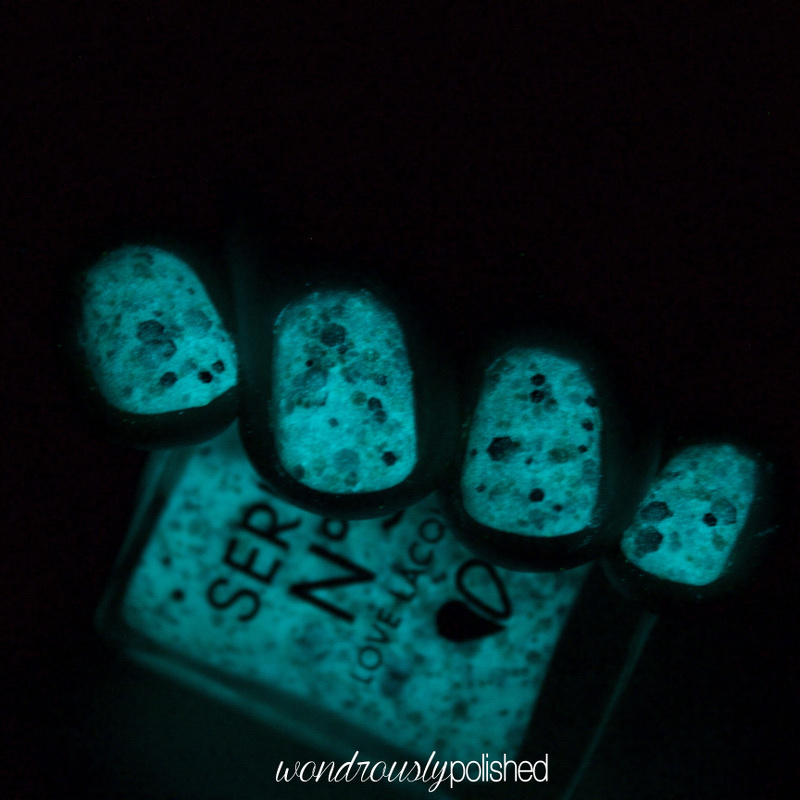 Another Year, Let's Cheer is another GITD polish. 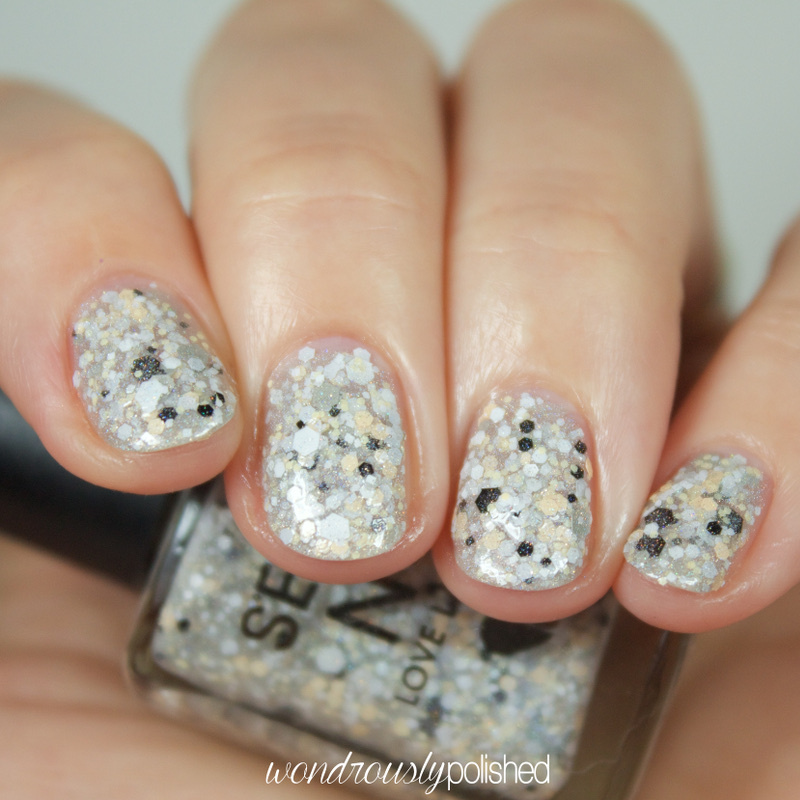 It's a sheer grey with pale yellow, white and black glitters. 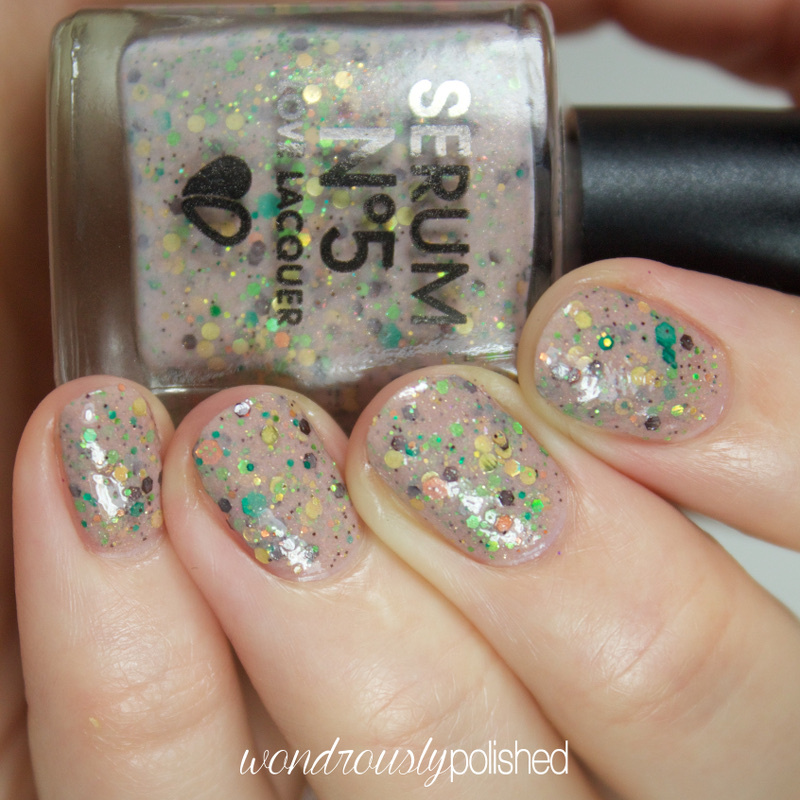 I wasn't sure that I was going to be able to reach opacity with this one, but after 3-4 coats, the glitters built up enough (though not thickly) on my nail to hide my natural nail relatively well. Here's Another Year, Let's Cheer in all it's glowing glory. I like the blue hue to this one. 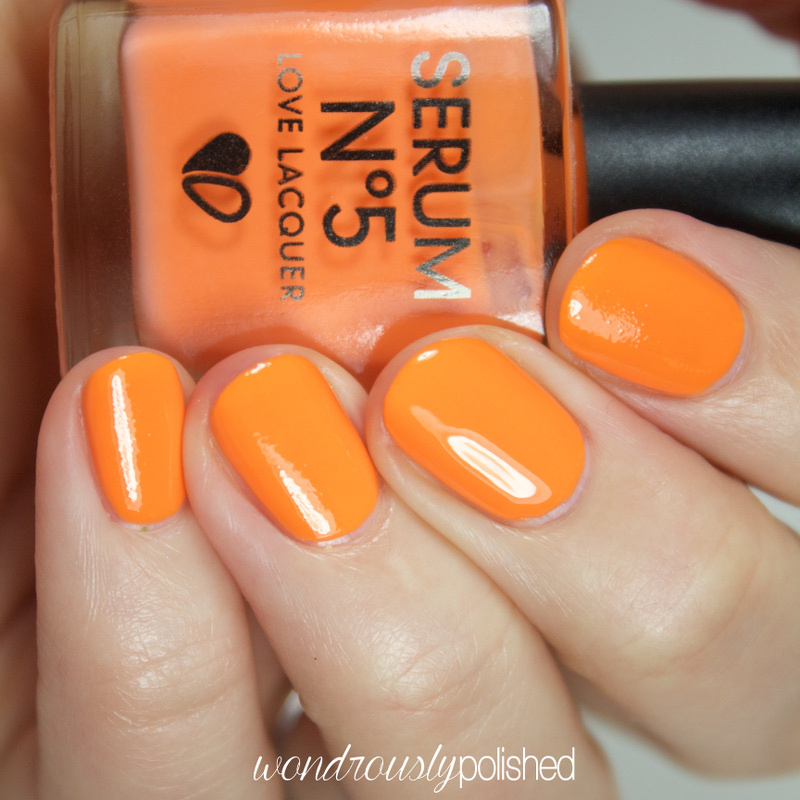 Orange You Sunny is, you guessed it, a bright orange shade! 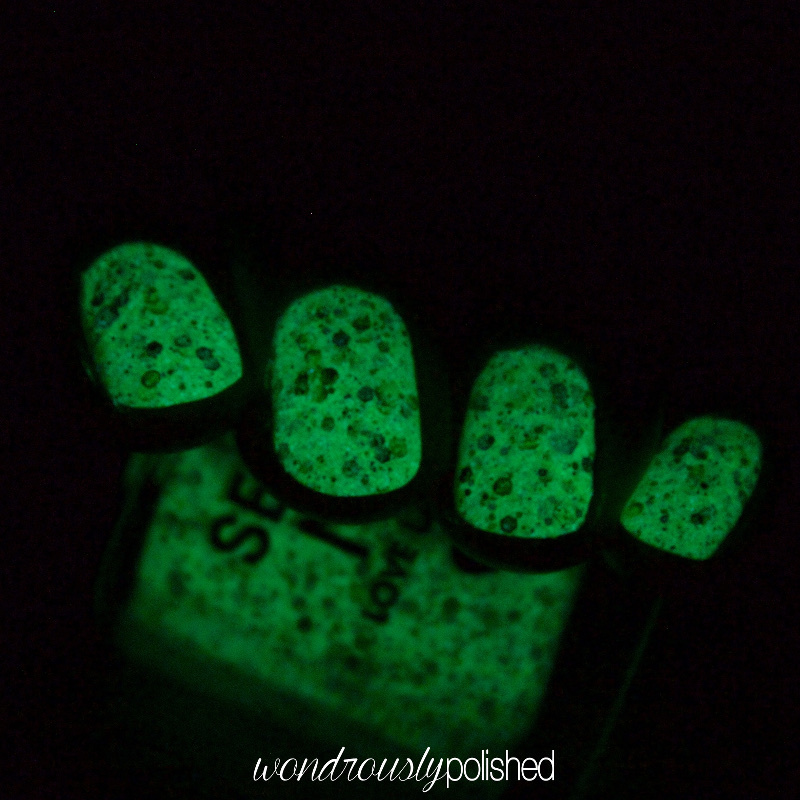 While this applies like a creme, the GITD pigment dries to a matte gritty finish...but it's easily hidden by top coat if that's not your taste! It's really not that noticeable without top coat either. The formula was nice, though it was a sheer and after 3 coats I can still see a slight visible nail line to the naked eye. And Orange You Sunny has a nice bright orange glow to it! 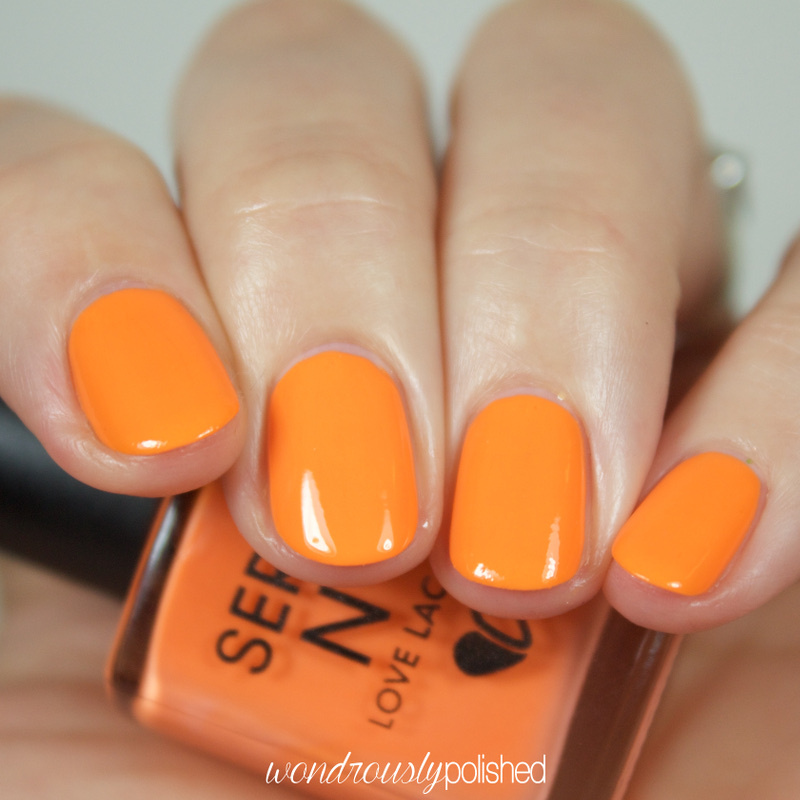 Lights Out is a solid black shade that is similar in formula to Orange You Sunny. 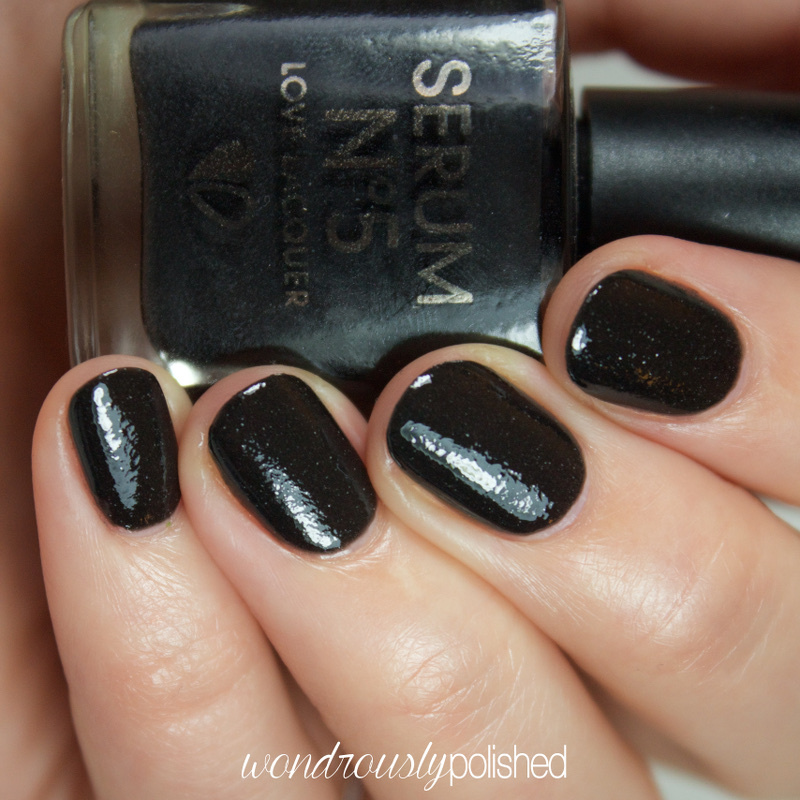 With a top coat on, it reminds me of liquid leather or something? I'm not quite sure how to describe it, but it's got an interesting finish that I think I'm digging. 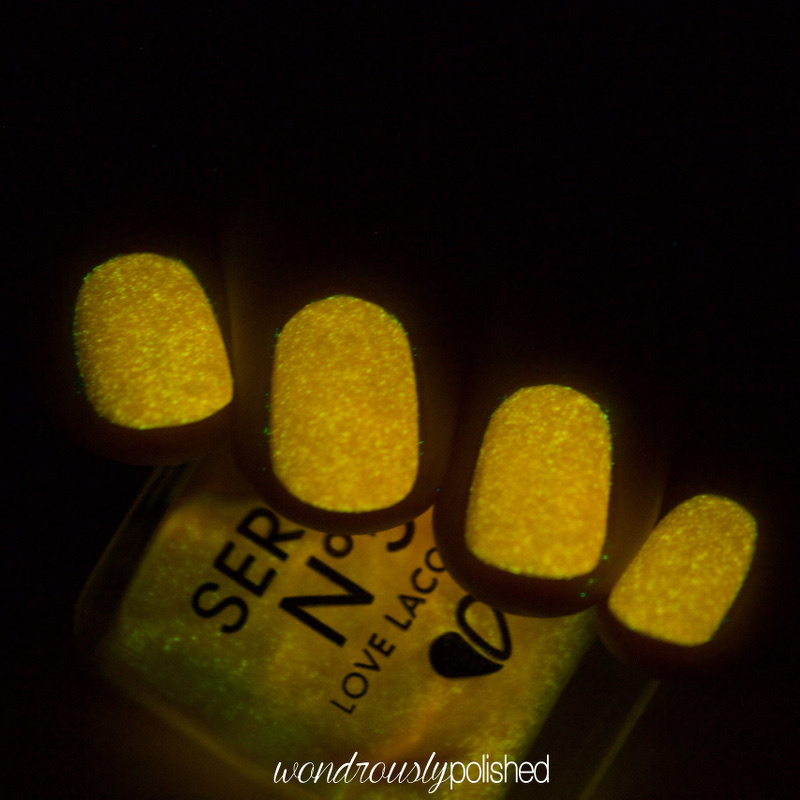 The really cool thing about this polish is that it's actually a glow in the dark shade! 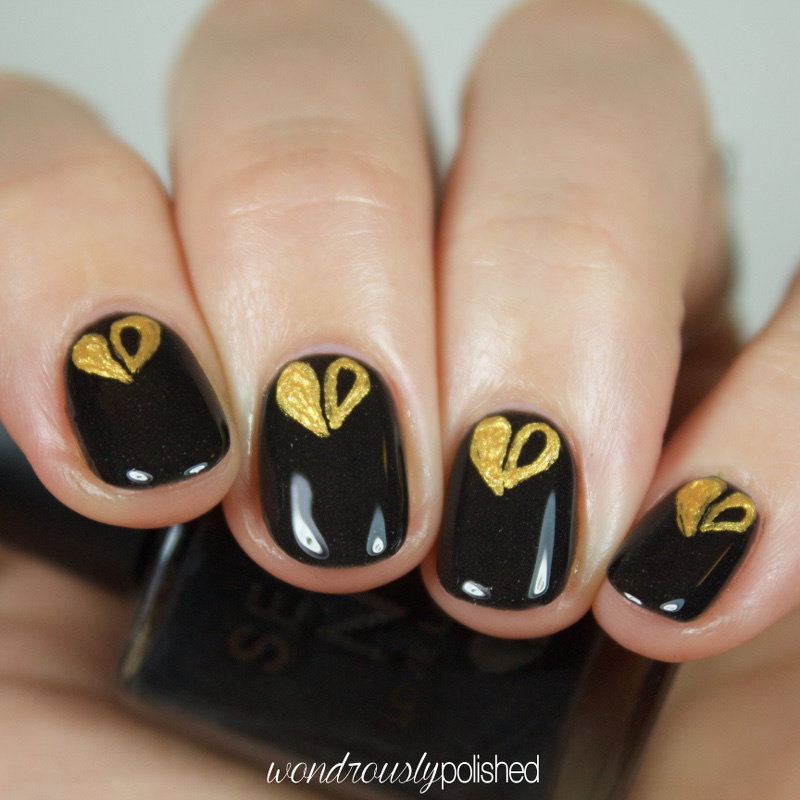 Who'd have thought that a black polish could glow!? Shown is 3 coats with top coat. And the blue GITD effect! 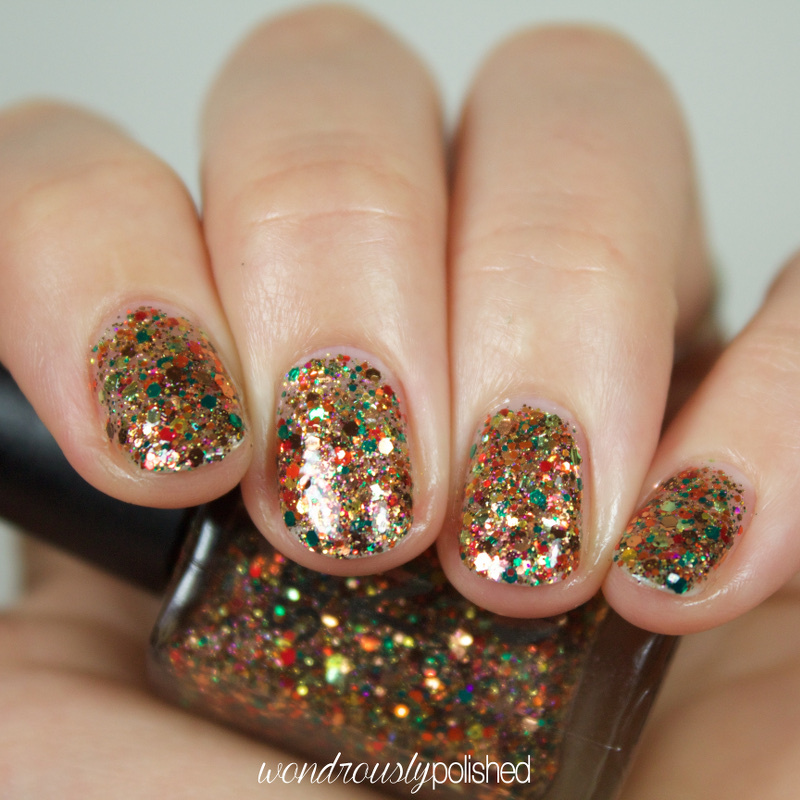 Finally, we have Leaves You Breathless, a gold, green, copper, and red densely packed glitter that does a pretty good job of reaching opacity in 3 coats. I used a sort of dab technique to get this glitter to place where I wanted it, but overall, this is pretty easy to work with. 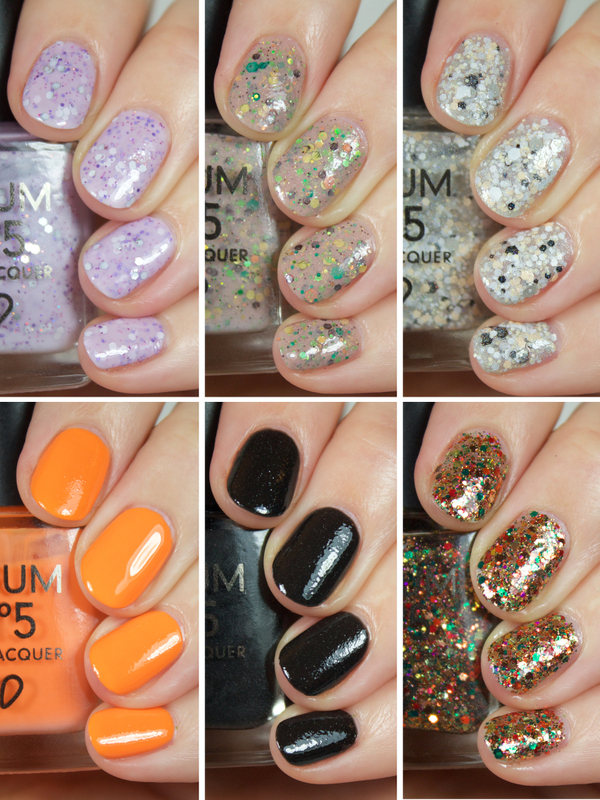 You can purchase these and many other polishes from the Serum No. 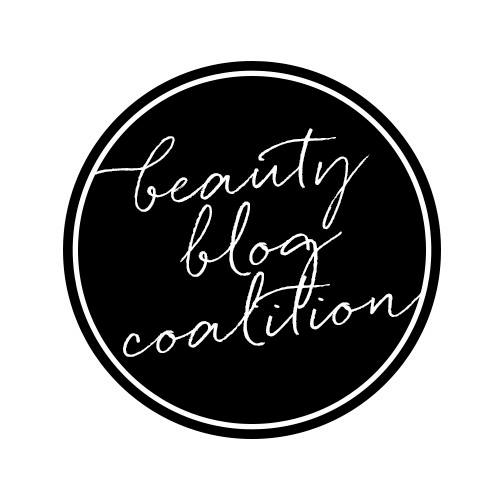 5 shop now and be sure to follow them on your favorite social media site to stay up to date with the latest collection and promotions!